Hope everybody is doing fine, Here Raining heavily in Chennai and I am enjoying the Rain :) . Today going to Review Coloressence Mesmerising Lip Colour - Peachy Pink . 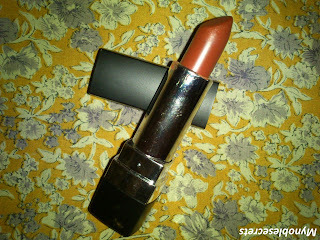 I am a big Fan of Peach shade and I have Three peachy shades of lipsticks in various brands :) . This one Coloressence, I have bought from Flipkart. It is for Daily use, I won't use Lipstick when I am in Home, but I will use when I am going nearby shops. So, I don't want a shiny lipstick for this purpose and selected this shade for this use. 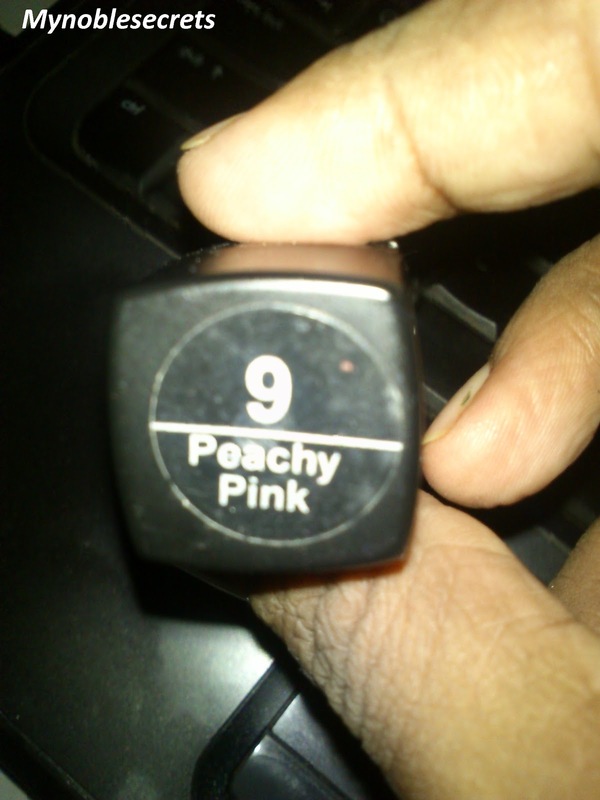 Let's see about this Coloressence Mesmerising Lip Color - Peachy Pink. A unique combination of Coriander & Basil Extract. This lip colour nourishes, protects, moisturises and is hypoallergenic. Voluminise the Lips. 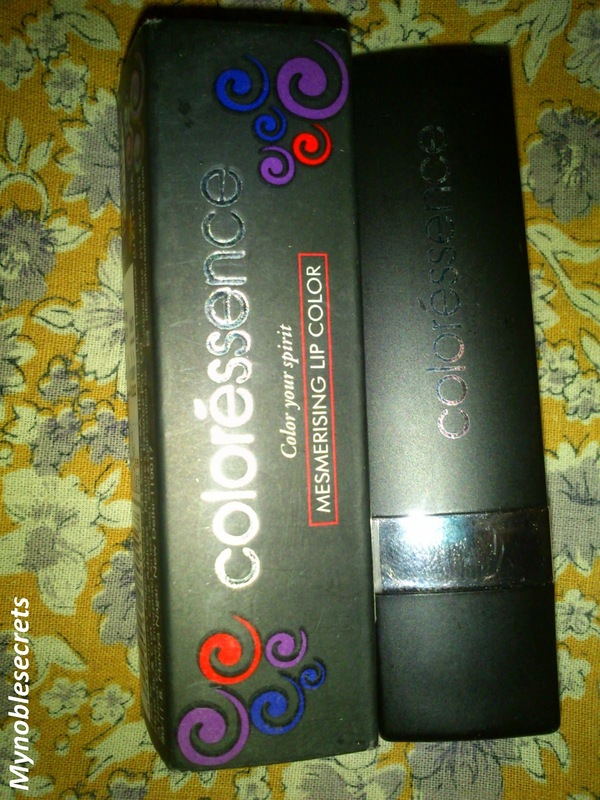 I loved this Lipstick case, it is looks like a small box and in velvety Black. The shade looks in the picture is same when I applied in the Lips. I found little hard to apply on my lips, because it is little dry one. 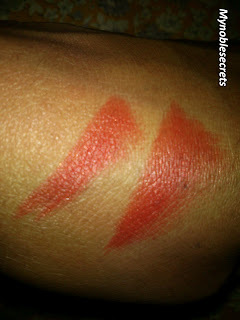 For getting thick and coloured lips I have to swipe it several times on my lips. 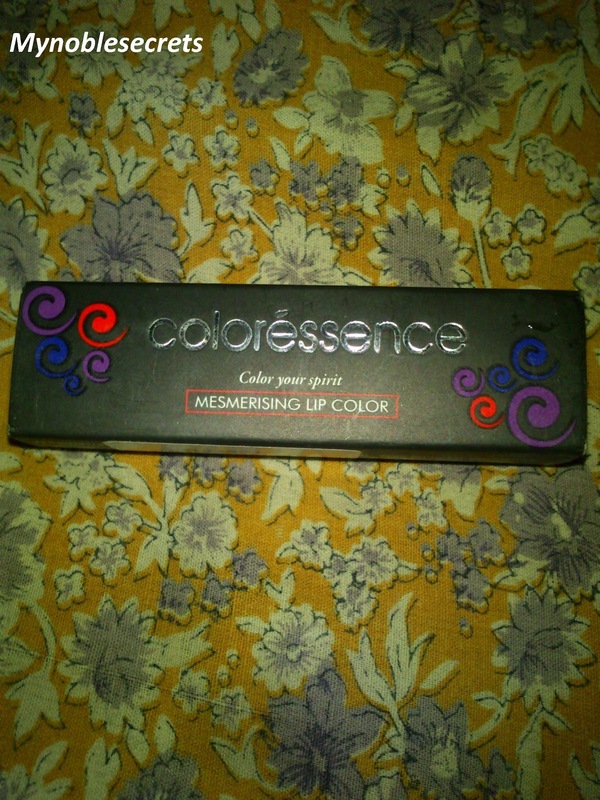 But, I didn't face this problem with Faces Co Chic lipstick, with one swipe I got a intense colour. Ofcourse I am not suppose to expect the same quality. Otherwise, this is enough stay power for my purpose and looks very natural on my lips. I will apply lip balm to solve this dry part. It is what I expected for My daily use. I liked the Vegetable ingredients and no animal ingredients and The moisturising power is not seems that it contains Almond oil and Vit E. It gives full coverage and for pigmented lips also it will workout. Also it is not bleeding badly. The SPF 15 makes me feel so protected. In Hand I am seeing some glitters but it won't show on lips. Lovely the Black lipstick case. It has SPF 15 which is very good for daily use. Stays on lips up to 4 hours. Have to apply lip Balm for dry lips. Nice review radha, but I think the shade looks more like orange than pink. Is it so radha?why they gave the name peachy pink? It looks more like my apricot nectar from lakme! Thank you Nisha...How are you doing?? This was my first purchase from this range and its a beautiful color.